Instruments: Guitar, Mandolin, Ukulele, Irish Bouzouki, Dulcimer, Autoharp. Styles: A variety of styles including Folk, Americana, Celtic, and Contemporary. 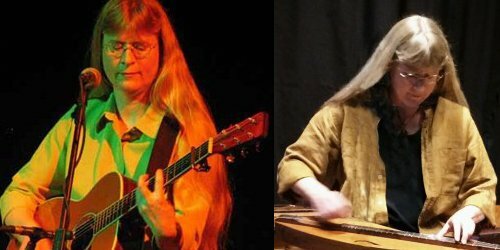 Karen Mueller is a nationally-touring performer and instructor who plays a wide range of stringed instruments, including guitar, autoharp, mountain dulcimer, mandolin, and ukulele. 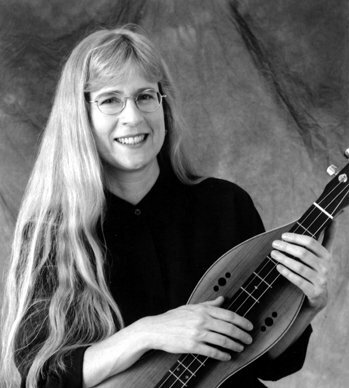 She has won many national and regional awards, including the prestigious McKnight Artist Fellowship for Performing Musicians, the International Autoharp Championship, and the Minneapolis Arts Commission’s “Special Award for Outstanding Contribution to the Arts in Community” for work with older adults. She has also been inducted into the Autoharp Hall of Fame, and is the bandleader for Katie McMahon, original lead singer from Riverdance. Karen works closely with each student to determine the best teaching mode for their learning style and musical preferences, be it by written music, tablature, chord charts, or by ear. Close attention is paid at the outset to establishing comfortable ergonomics with the instrument, and developing good playing and practice habits. Because Karen has both classical training as well as rich experience with traditional music (such as Celtic, folk and Appalachian), she strives to help students understand music theory principles as they apply to help them learn the music they want to play. She is known as a patient, encouraging, fun, and flexible teacher. Her students have ranged in age from 5 to 90, and she believes it is never too late to start learning the joy of playing an instrument. Lessons canceled with late notice cannot be rescheduled. Payment is requested for a month at a time based on number of lessons a student wishes to book in a coming month. All payment methods accepted: check, cash, PayPal, and credit card (for slight added fee). There is a 24-hour cancellation policy, to ensure respect for the time reserved for the lesson. All lessons begin on the hour or half hour. When a 30 or 60 minute lesson is scheduled, that is the total time allocated for the lesson, which includes moving in and out of the studio. The more a student can be ready in advance of the lesson time (tuning, etc. ), the more time will be available for the lesson.